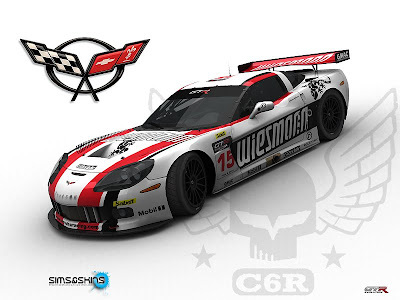 Bringing some colors to Corvette C6R. If you know some "real" livery that hasn't been done for GTREvo, share the idea with me and I will try to do it. Great ideas!I will do some of those thats for sure. Thanks to you and your suberb work! We are very passionate about Sport-cars and Motorsports in general. Designing real and fictional racing cars liveries since 2007. Any use of materials on this website, including reproduction, modification without the prior written consent of Koda Factory is strictly prohibited. © Koda Factory . Simple theme. Powered by Blogger.